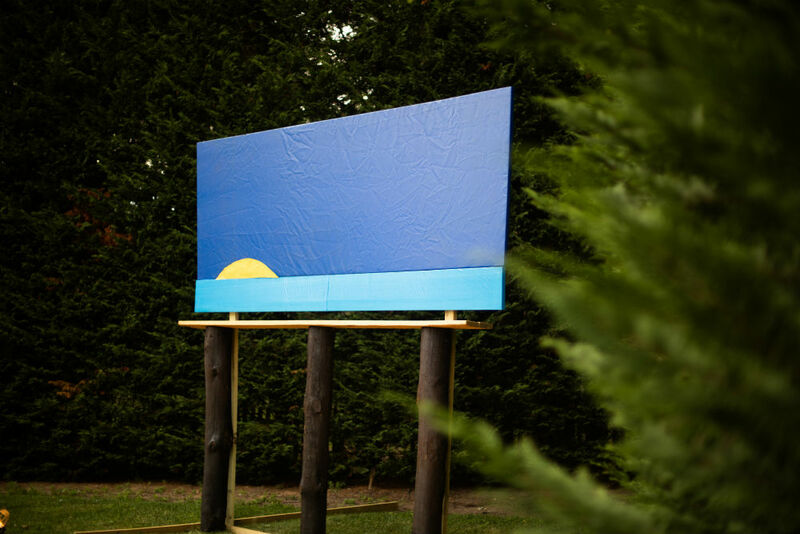 This Saturday young art aficionados gathered in historic Sag Harbor to celebrate the opening of It’s a Sign, an outdoor exhibition of recent work by artists Neil Hamamoto, Grear Patterson and Olivia Steele who have all been pegged as ones-to-watch. 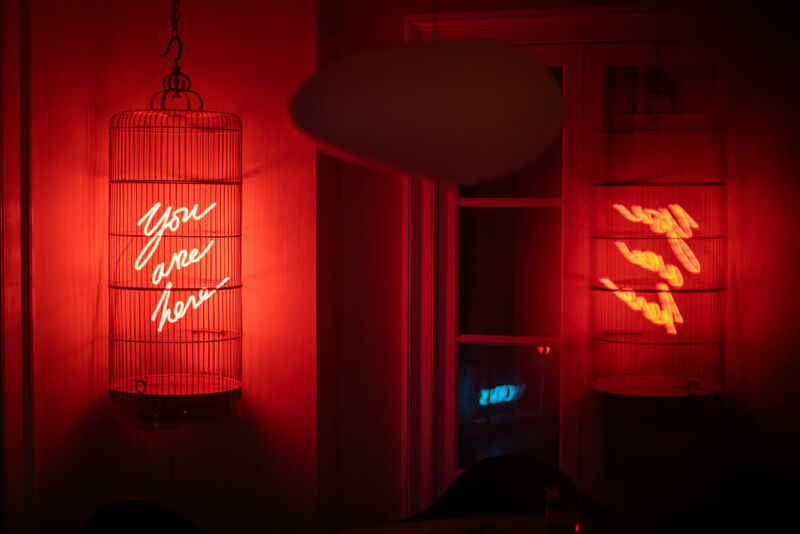 Curated and hosted by Josh Fayer and Elliott Levenglick at a stunning private residence that was transformed into a multifaceted gallery experience. The outdoor exhibit acts as both a literal and metaphorical platform for viewers to comprehend and experience the juxtaposition of art and seeking signs within nature. 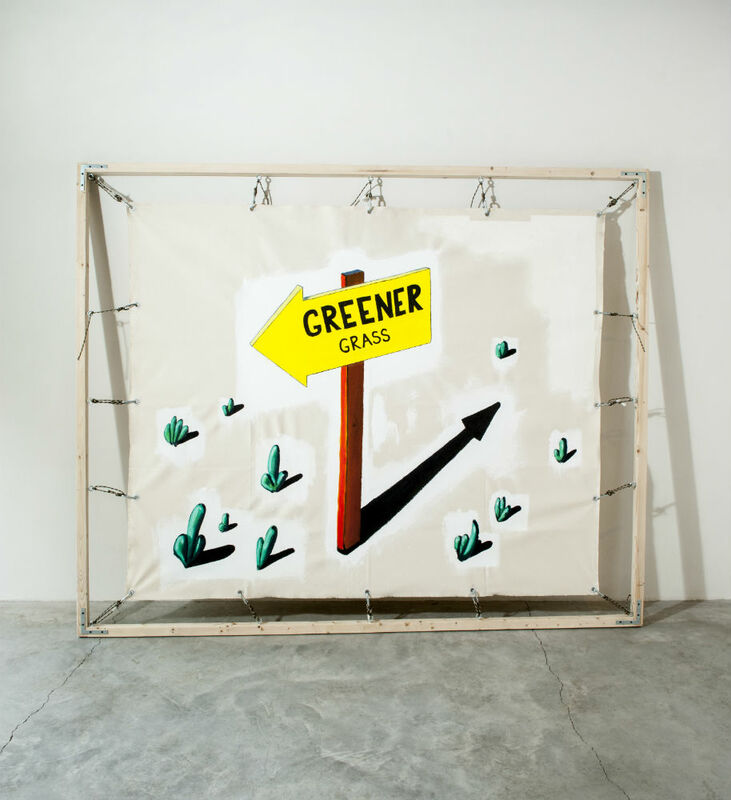 All of the artists drew on pop culture references as well as pedestrian signage icons to illustrate the interplay between the natural and the man-made. Together, the works leverage universal signs and symbols to channel the viewer’s attention to a plethora of themes. Guests were treated to live music by duo Black and Sparrow and dined on fresh burgers while sipping on drinks from sponsors Amaras Mezcal, Veuve Clicquot, and Juice Press. It’s a Sign will be on display through September 7th.